A 26 year old women has said she’s spent about £1,250 (i.e. 623 thousand Naira) on presents for her dogs this Christmas even more than her own boyfriend. 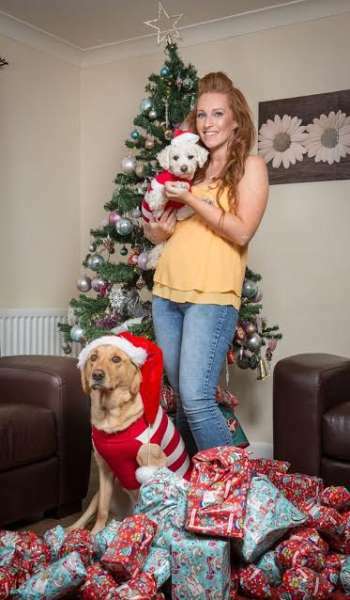 Vikki Jose, took her pets four-year-old Labrador, Harvey and two-year-old Bichon Frise, Lola on a shopping spree to celebrate the festive season. The pampered pooches even have their own Christmas wish list for Santa – as well as personalized stockings and advent calendars with doggy treats inside. Mirror UK reported. 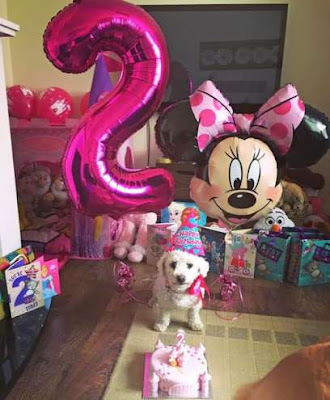 The Newspaper also reported that she has spent over £10,000 (5 million Naira) on her beloved dogs over the last four years. “My friends and family think I’m mad when it comes to my dogs. “But I don’t see them as dogs, I see them as humans stuck in dogs’ bodies. And she happily admits to spending more on them than her boyfriend of three years, Jack Cassidy, 26, a car body painter. 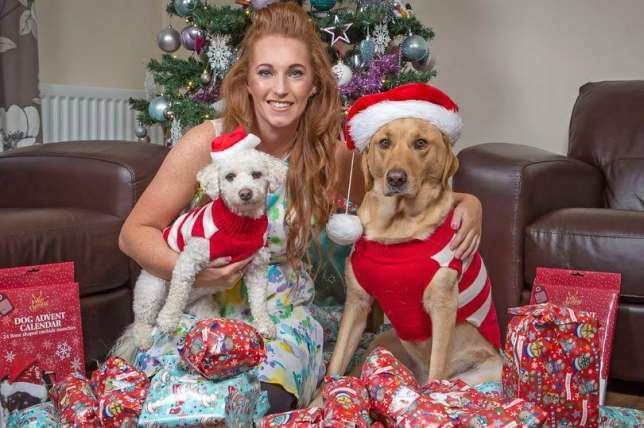 This year she has bought 100 presents for her dogs, including dozens of soft toys, clothes, blankets, cushions, treats, new collars and leads. “People might say that spoiling my dogs this much is excessive, but I think it’s fine.